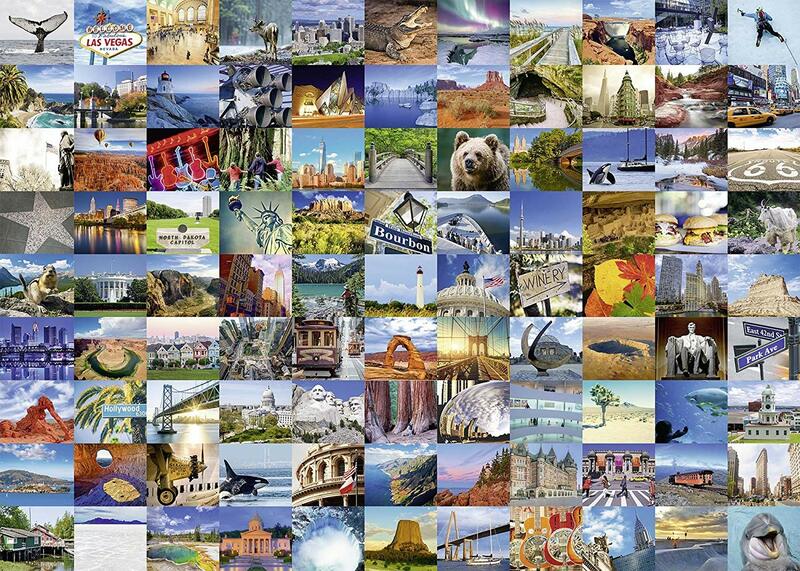 This puzzle is a whistle-stop reminder of fantastic places to visit in the USA & Canada. Amongst the places and sights to be discovered are the statue of Liberty, the Capitol building (Washington), the Painted ladies (San Francisco), and the Grand Canyon (all USA) and Niagara Falls and Chateau Frontenac in Quebec (Canada). the puzzle comes with a key to identify all the locations/objects.